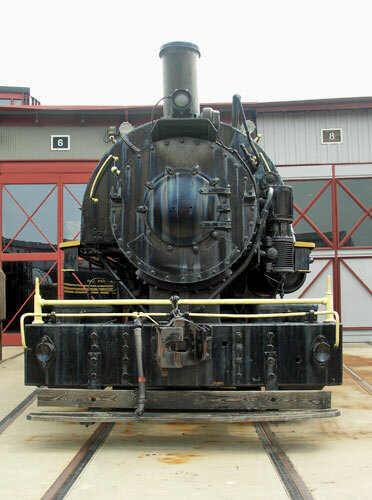 This 0-6-0T Saddle tank locomotive was built in Schenectady by the American Locomotive Company in 1927. E.J. 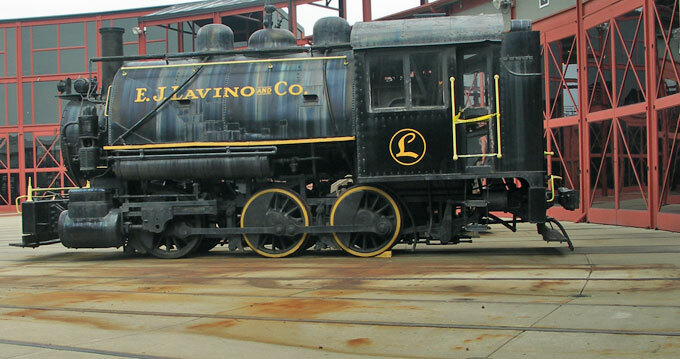 Lavino and Company #3 started its career on the Poland Spring Railroad in Maine. It was acquired and put on display by at Steamtown, USA in Bellows Falls, Vermont in May 1966. These photographs show it on display t the Steamtown NHS in Scranton, Pennsylvania in 2006.